It's no secret that here at Elite16.com, we're pretty passionate about celebrating a handmade life. As creative artists and designers ourselves, we know from first hand experience what it means to build a business around creating something tangible from the seed of an idea. That's why we LOVE Etsy and have our shops here where we get to connect and meet other creatives from around the world! Elite16.com is where we get to share all the beautiful handmade and vintage items that we LOVE in a central spot - and bonus! It makes it super easy for those of you out there who LOVE Etsy to find items which have been collected and curated with style and a modern eye. We offer multiple ways to explore Etsy and one way is through our TRENDS page - seen up on our navigation bar (scroooool up, please!). Each month we add a new "trend" and this month - our theme is IN LOVE! 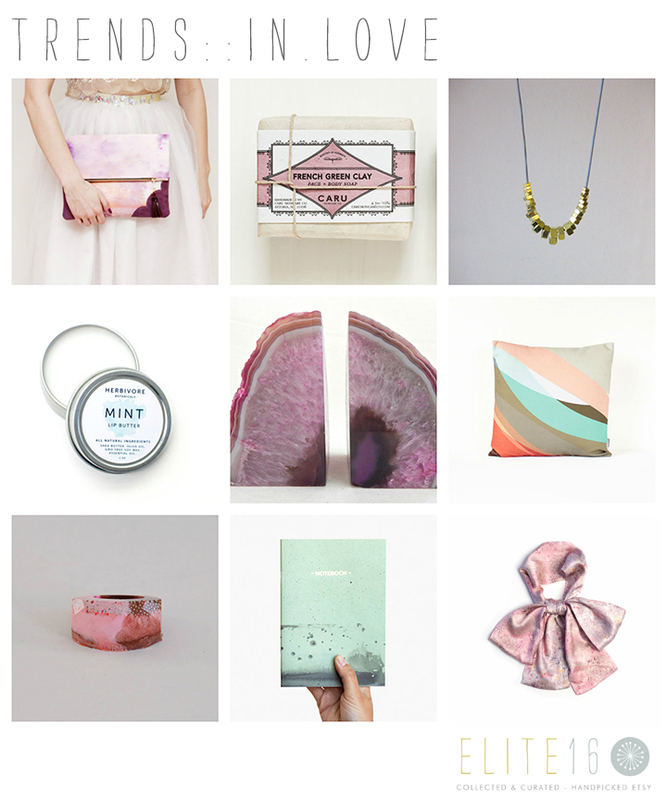 So, go on - click on that tab and go fall IN LOVE with handmade!